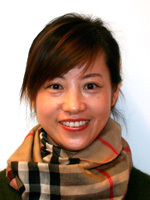 Dr. LI Qikeng is professor of American studies affiliated with the School of English and International Studies, Beijing Foreign Studies University (BFSU). He was a Fulbright Scholar-in-Residence at Guilford College, North Carolina from August 2006 to May 2007, offering courses on Chinese foreign policy and Chinese literature. Before his current position as the Chinese director of ELTE Confucius Institute, he served as the Chinese director of the Confucius Institute at the University of Hawaii at Manoa from August 2010 to July 2015, and then of the Academic Confucius Institute at the University of Göttingen, Germany from September 2015 to September 2017. His research interest includes American politics and foreign policy, Canadian politics and foreign policy, American culture and society, comparative studies of Chinese and American cultures and politics, and public diplomacy, etc.